Unique to us in the UK. (Rugosa) Very pretty, single flowers of rich velvety red with outstanding golden stamens. Scented. Dark green foliage. Tidy, growth. (Gallica) An exceptional shrub and good on light sandy soils. Very vigorous, with large arching branches which bear flat, single flowers of bright pink and gold stamens, all along their length in mid June. Plentiful, foliage. Origin unknown. 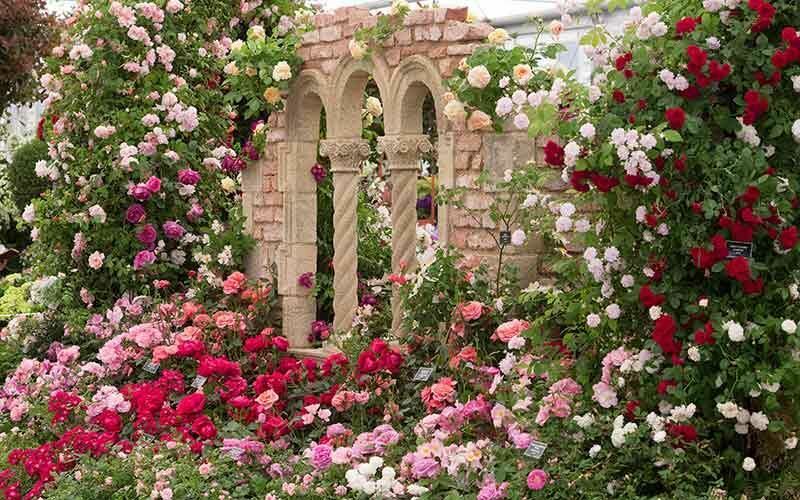 Effective as a pillar or climbing rose.